Greenfields have had gunsmiths on the premises of Milford Street since the early 1960s, today the shop boasts two full time gunsmiths & one part time gunsmith with the view of increasing both the size of our in-house workshop & the gun smithing team in the near future, once our expansion in 2017 has been completed. 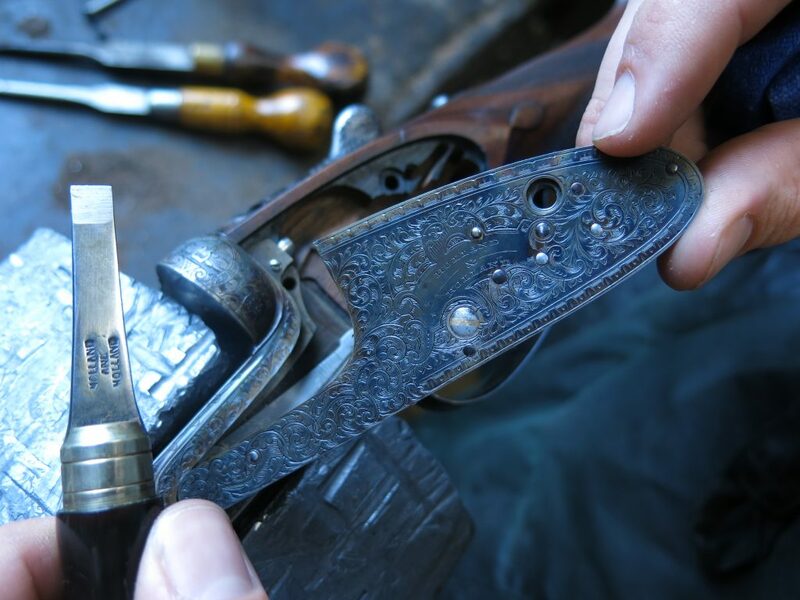 We are able to carry out small & major repairs & alterations to almost all makes & models of shotgun, rifle & air rifle. Listed below are just some of the examples of work we will be more than happy to carry out on your gun. Full pre & post season gun servicing. Full gun fitting, stock setting & alteration service to all woodwork. Fitting & engraving of gold & silver ovals. Threading & re-proving for a sound moderator. Please feel free to give us a call, we will be more than happy to discuss your gun repair requirements with you on the telephone prior to your visit to the shop.